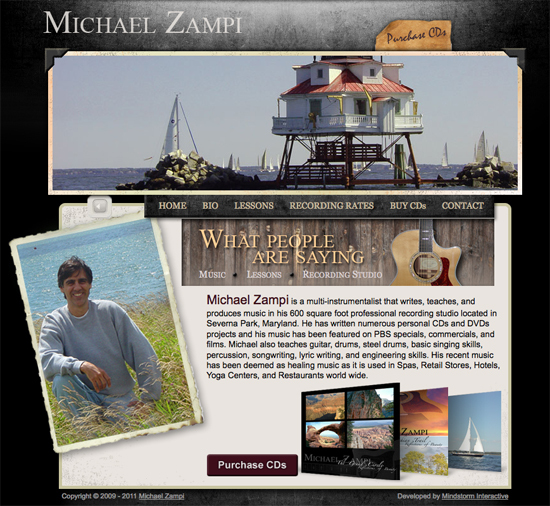 Michael Zampi is a multi-instrumentalist that writes, teaches, and produces music in his 600 square foot professional recording studio located in Severna Park, Maryland. He has written numerous personal CDs and DVDs projects and his music has been featured on PBS specials, commercials, and films. I am a music producer and songwriter in the Annapolis, MD area. Mindstorm Interactive has completed the graphics for my last two CD projects. I cannot tell you how impressed I am with their services. Not only do they deliver fantastic service (with a smile) they deliver some of the most creative graphics I've ever seen! The graphics that were created for my CD's were so unique, dynamic, and beautiful. 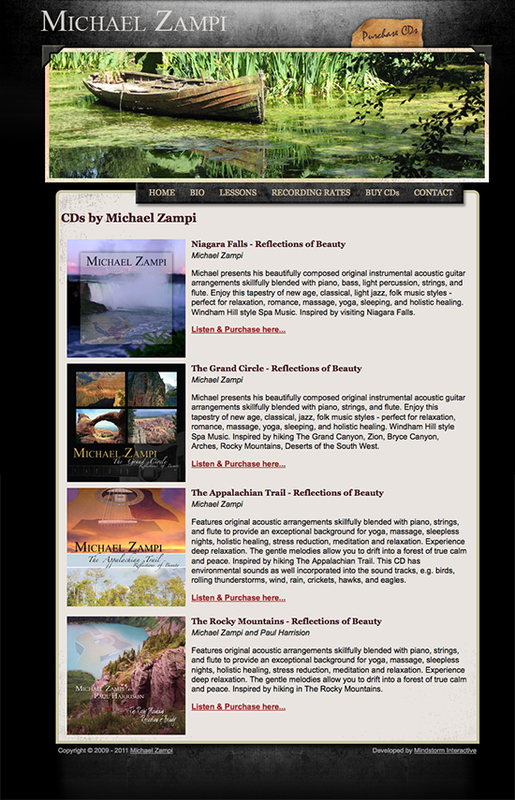 I truly believe the wonderful artwork is getting my CD's attention for increased sales. Also, Mindstorm meets all deadlines as well. I wish all companies were run as well as this company! They have earned my respect and they will be developing two new websites for my other businesses. I recommend Mindstorm for any graphics design and website development project.